as i said i will speak to you about Race 4 Replay time 3:20 and going on. For me, even if we had no contact, you broke RRS 11 by definition, for my understanding. OK I understand now what is your protest. 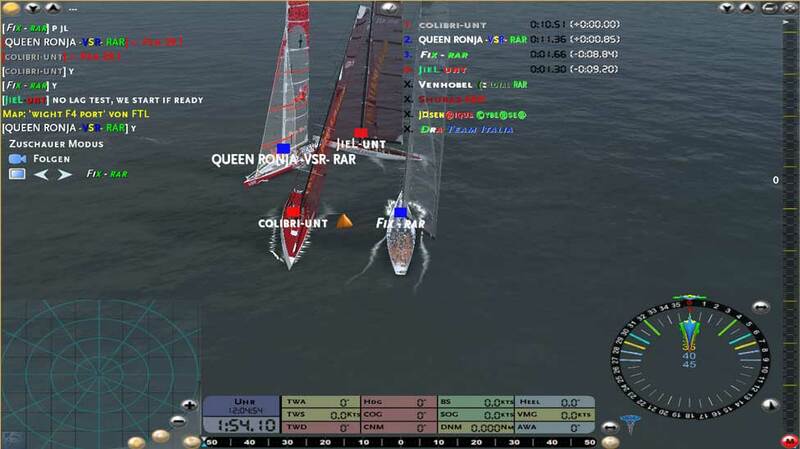 When 2 boats are so close that if one changes course, that is resulting in an immediate contact then one of them has broken R11. That is not the case in the replay where at every time, FIX could change course without immediate nor delayed contact. In my opinion, JIEL has succeed to keep clear. Well i agree that you rolled me, which was just possible because you never respond on my luff, you just tried to run over me. And it is not the point if you could make it it, its about if you kept clear, wich you failed in my opinion. I know that you know the definition but let me recall here the definition of Keep Clear. After I will connect it with with our case. (b) when the boats are overlapped, if the right-of-way boat can also change course in both directions without immediately making contact." t=30s, I dont respond to your luff because I am able to keep clear even if you go at close-hailed. t=34s, You are close-hailed and at this moment there would be no immediate contact if you changed course in any direction. So I still keep clear. t=35s, To continue to keep clear I now must bear down which is the best way to do it. To end : I must respond to a luff only to keep clear. While I am keeping clear, I may not respond to a luff. I showed above that even when you luffed at close-hauled, I was still keeping clear (from the RRS definition).